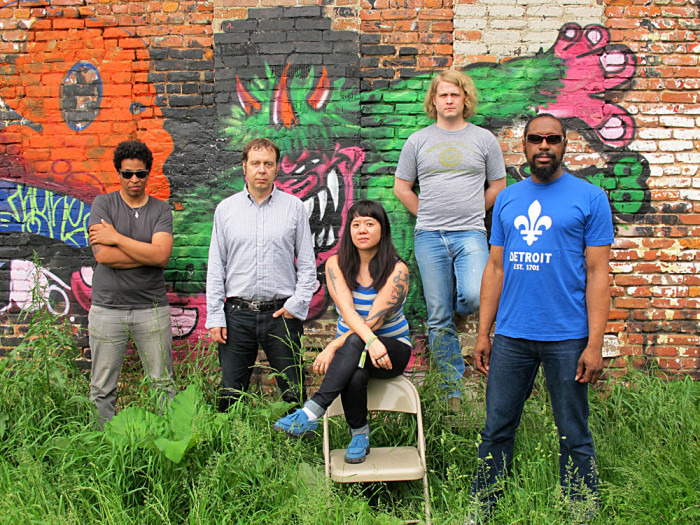 Detroit's Dirtbombs hinted of a "bubblegum" record long ago. Just as it was starting to fall into the idle threats category, Mick Collins and Co. delivered Ooey Gooey Chewy Ka-blooey, The Dirtbombs' bubblegum record, out now on <a href="http://www.intheredrecords.com/">In The Red</a>.. We asked Mick to be a tour guide through the genre. He agreed to it, but not without some resistance. The Rocky Fellers were not actually a bubblegum act, coming as they did in 1963, a full five years before the birth of the genre. However, “Killer Joe” is surely a precursor to bubblegum with its chirpy vocals, and stomping rhythm. While not actually released as a record, the opening credits to this 1970 cartoon nonetheless deserves a spot on this list for sheer awesomeness, and is probably responsible for more of my life decisions than I care to contemplate. While “Sugar Sugar” may be the apotheosis of the genre, for my money these two tracks deliver more pure bubblegum action. “Feelin' So Good” was my favourite Archies song as a kid, and after rediscovering “You Make Me Wanna Dance” years later, it's my current fave. While Barry White may have written “Doin' The Banana Split”, this fuzz-and-Farfisa drenched track was the one that made me jump around like crazy. You could almost mistake its savage thump for Steppenwolf, as long as you weren't actually LOOKING at them. Easily the most obscure record on this list, the Sugar Bears (based on the breakfast cereals of Post Super Sugar Crisp)(don't look at me, I don't make this stuff up) managed to record an entire LP for Big Tree Records. While usually only notable for being the first recording of singer Kim Carnes (“Bette Davis Eyes”), 1971's “Introducing the Sugar Bears” is a solid slab of Sunshine Pop in the Archies mold, with “You Are The One” the standout track. I bought this LP new, and the rolling kettledrums and no-holds-barred production of “You Are The One” delivered the goods like nothing else that year; 40 years later, it's still a welcome jolt of sunshine. In my opinion, one of the greatest records ever. This was the big bubblegum hit of 1974. I could never get enough of the soaring vocals and pounding drums. “Green Tambourine” is credited as the first bubblegum hit, from February 1968. While lacking the goofball lyrics and propulsive thump that would characterise most bubblegum music until the advent of “Sugar Sugar”, its shimmery, sunshiney sound nonetheless suggested an alternative to the heavy rock that was beginning to dominate the airwaves. The sitar lead, swirling strings, and stabs of heavy echo make “Green Tambourine” notable for being something of a psychedelic classic as well as a bubblegum classic. In my opinion, the last great bubblegum hit record, breaking in the US in 1975 (originally released in the UK in 1973). Great pounding drums and chanting make this an unqualified classic.